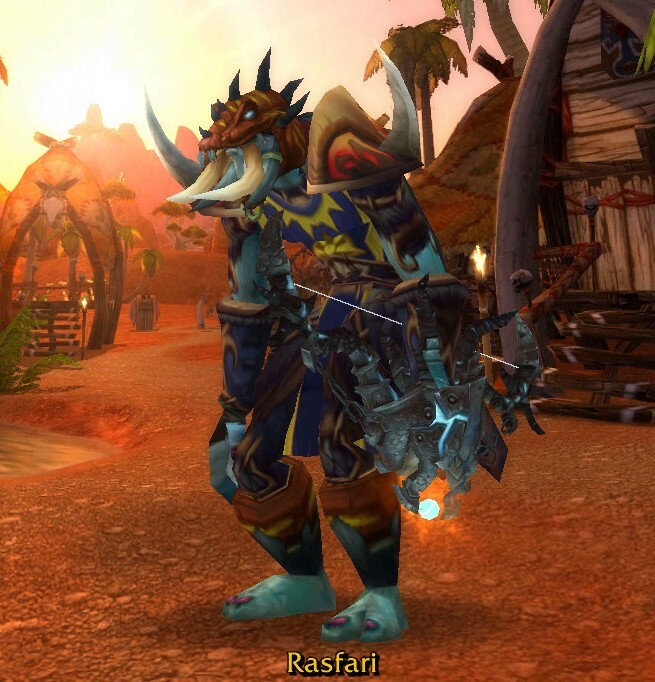 A couple of weeks ago my troll hunter Rasfari finally hit level 90, joining in the revolution against Garrosh’s reign of power. This also made the fifth character on Drak to join the max level club, along with Arv, Heavy, Caden and Kerian. Leveling Ras was actually fun. Before patch 5.3 hit, the trek from 85 to 87 was a long a painful one. As my bank alt and keeper of my personal guild on Drak, Ras didn’t get to reap in the sweet guild benefits like those in SR. But after 5.3 hit and the nerf to XP, leveling to 90 was a breeze. The only thing of help was the BoA ilevel 463 Sonic Pulse Generator gun that can be discovered while completing Mantid artifacts for Archaeology. Ras is actually still using it, as he has not been lucky in several runs through the T14 raids. As for spec, I chose to stick with Beast Mastery, mainly because of the rare and exotic pets you can use. 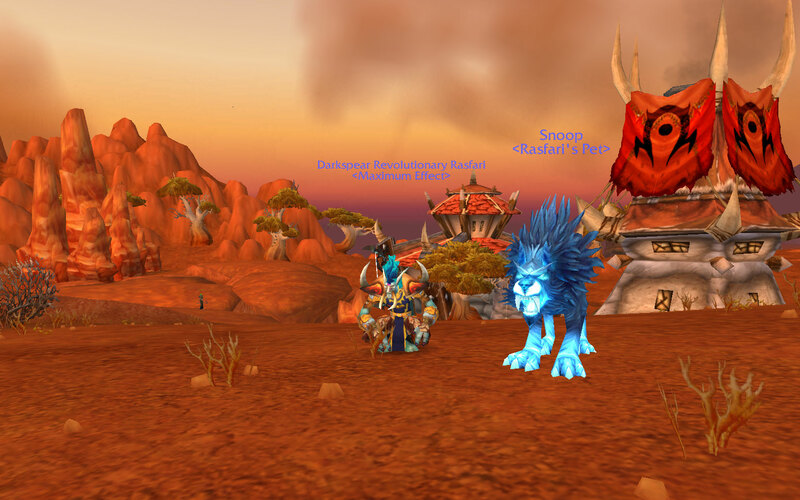 By far, the pet I use the most is the rare wolf from Northrend, Skoll, who I nicknamed Snoop. His model has always been my favorite, with the blues and electricity crackling around him. Dire Beast – an extra pet to help out dps on a 30 second CD? Awesome. And the pet changes depending on the zone you’re in. Ever seen a giant monkey beating down on the Scarlet Crusade in the Scarlet Halls? Hilarious. Lynx Rush – an ability that has your pet attacking multiple mobs, jumping back and forth, kind similar to a rogue’s Killing Spree. I probably could have picked A Murder of Crows for more dps, but watching Snoop going crazy on mobs is worth it. 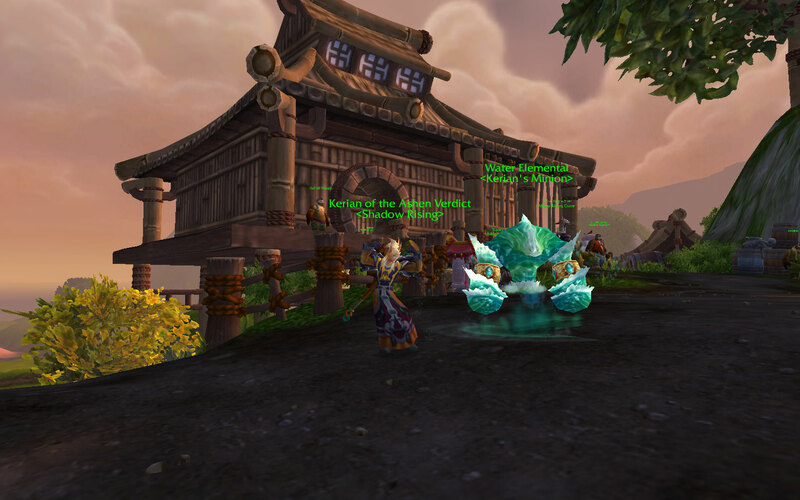 Stampede – summons all your pets currently with you at the same time to attack the target. Combined with Dire Beast, this gives new meaning to the term pet frenzy. Crazy! So, being a troll, it was only right that I had Ras go through the Barrens quests and weekly for the title. It was a slow and painful process, as I did it as a fresh 90 and was still running around with greens on. Not to mention that the Barrens is pretty much dead on Drak and whatever CRZ it shares. Snoop died…a lot and Feign Death was my friend, lol. But I eventually got it done, now he’s properly named, ready for the Siege. 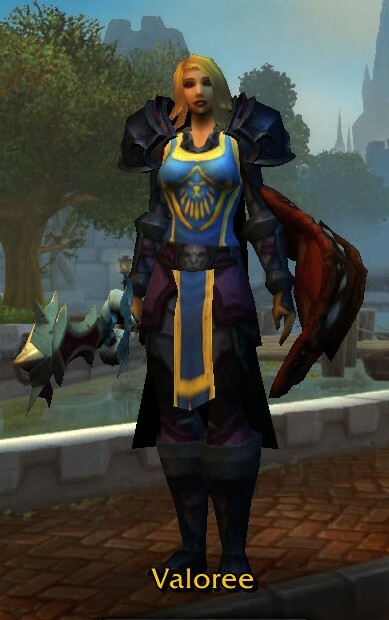 I finally got my Alliance human paladin, Valoree, to level 90 last night. It was a long and arduous journey, especially not having any heirlooms that my Horde alts are so spoiled with. And I wasn’t about to spend any money just to transfer a toon to mule my BOAs over to Winterhoof. Val originally was part of a tanking project I was working on towards the end of Cataclysm. 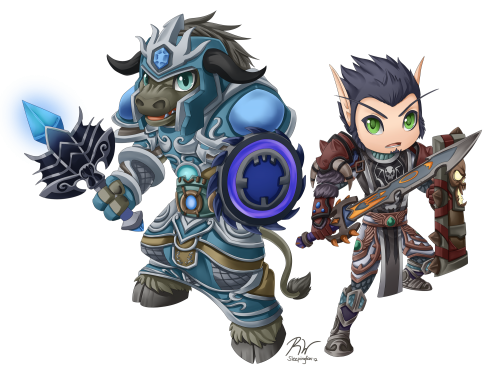 My plan was to rotate each of the four tanking classes (Valoree – prot pally, Zackariah – blood death knight, Marrcus – prot warrior and Lorelin – bear tank) mainly through dungeons with a little bit of questing, until the rest state was used up. I did this so that I could closely compare each class and their abilities, while learning how to tank on ones I haven’t done before, like bear tanking. The project stalled and I managed to get Val to level 50 before Mists came out. I started leveling Val again halfway through patch 5.1, not to restart my project, but for a totally different reason…I didn’t have the Alliance versions of the Guild Page and Guild Heralds (I swear I don’t have a companion addiction, lol =P). I was already Honored with Crits at the time, so I made the grind to Exalted in a few days. 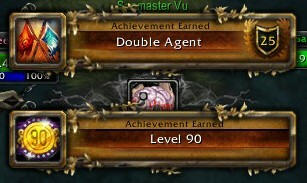 At that point, Val had made it to Outland and I figured I would just make the push to 90 to get the achievement. Level 1 to 85 wasn’t too bad, but the grind from 85 to 90 was rough. 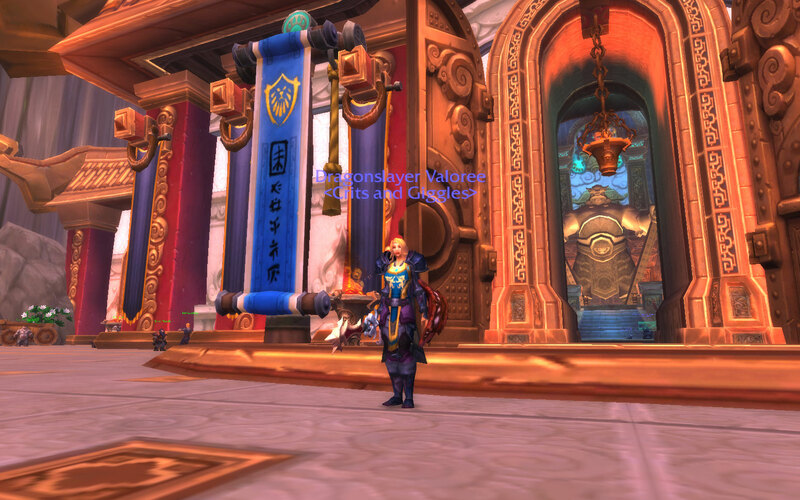 And I managed to do it all as prot, Val doesn’t even have a dual spec, lol. I might spec her Holy to try it again. Might. So what’s next for Val? I might do the Operation: Shieldwall and Isle of Thunder quests just to check out the story on the Alliance side. I do need to go to the Argent Tournament Grounds to get an Argent Squire to add to my companion collection (nope, definitely not a companion collector, not me =P). 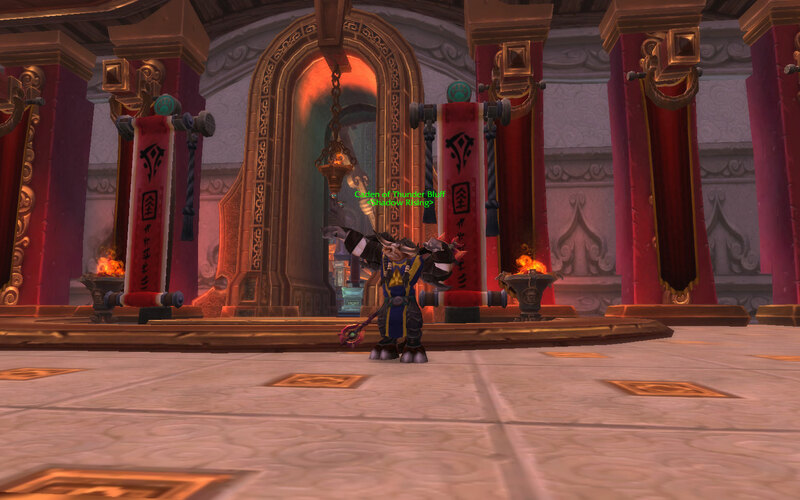 And now that I have a maxed out Alliance toon, I can participate in future World events and earn some of the faction-specific rewards, like how the Horde got the Mini-mana bomb and the Alliance got the Tabard from the Battle of Theramore event. And I’m still trying to get used to the setup and the location of the Shrine of Seven Stars in the Vale. I haven’t “accidentally” flown into the Shrine of Two Moons like some others I know have….yet. This past weekend, I managed to get my mage, Kerian, to level 90, thus making him my fourth toon to hit the max level, along with Caden, my druid, hitting the cap two weeks ago. What puzzles me is that they have achievements for having two, three and five alts that hit max level, but not for four. Why is, Blizz? Need moar achievees! I want to reflect a little bit about Caden’s and Kerian’s journey to 90. 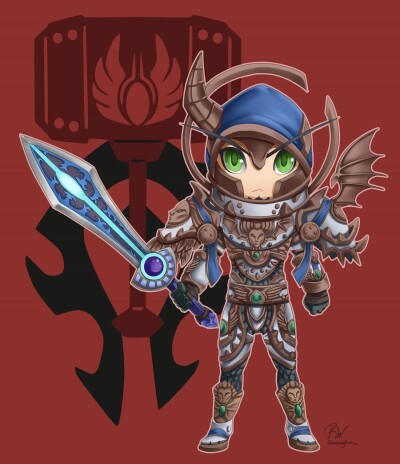 I leveled Caden from 1 to 85 pretty much as a boomchicken with a resto offspec. I dabbed a little bit as feral in some of the lower levels, but gave it up quick because I wasn’t too fond of the combo point system. So he remained boomkin up until level 85, where I decided to go main spec resto just like his healy brother, Vynn, my shammy. Of my three healers at the time (shaman, priest, druid), Caden was the most OP and I really had fun healing on him. When MoP came out, I heard a lot of complaints from the webosphere that boomkin was horrible to level in on the way to level 90. So I gave feral a try again and forced myself managed to make it all the way to 87 before I got fed up with the dungeon queue times and decided to give the tank spec, Guardian, a shot. Man, if only I knew how easy it was to bear tank at the higher levels, I would have gone Guardian a lot earlier, lol. The rotation is easy and there aren’t too many abilities you need to use; I don’t even think I’ve filled up my spell bar with abilities >.< Tanking on a new class is such a refreshing experience, especially on a class that you don’t have extensive experience with. 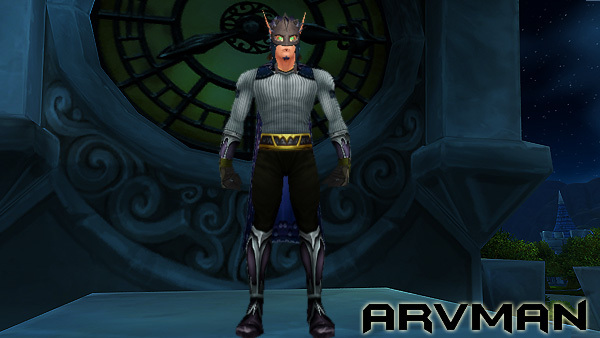 Kerian started as Frost in his early leveling days and become full-time Arcane at level 85. I tried Fire for a bit, but with all the buffs/nerfs and changes to all mage specs and specific gear setups, I couldn’t keep up with it and just settled on Arcane. MoP leveling was done all in Frost, which is where he currently specs in. I might do some research and work on his Arcane, to see how he fares in Heroics and LFR. Kerian wasn’t supposed to be the next one to hit level 90. My plan was to have all the tank classes leveled first, which left Dizzee, my gobby warrior and Siopao, my panda monk, as the next ones to hit the cap. For the most part, Kerian (at level 86) was just supposed to sit in the Valley of the Four Winds and travel back and forth from Tamer Nishi to the Silken Fields until it was his turn to level up. As the third leg of my pet power-leveling rotation, he would battle Nishi to level up whatever baby pet I was working on from level 14 to 18. And of course, the trip to the Silken Fields was for the Imperial Silk daily cooldown. With the introduction of the XP bonus in patch 5.2 for low-level characters when winning a pet battle, I realized that Kerian was already halfway through 87, just by the pet daily alone. I spent one night battling critters and aquatics on Kerian and taking a bunch of level 20 pets to 25 and taking him a quarter of the way into 88. I figured at this point I couldn’t just leave him there, so I made the push this past weekend questing with the occasional dungeon queue pop (after waiting 30 to 45 mins each time, this is why I tank! lol) and got Kerian into the 90s club. He still resides in the Valley, only now the travel from Nishi and the Fields is done much quicker on his flying Magic Carpet, lol. So my dilemma is who to level next. I have Valoree, my Alliance paladin, who is currently halfway through 86 and I could get my Double Agent achievement with her. Or do I work on my other tanks like I said I would? I played Siopao for a little bit and got her from 34 to 38 in two dungeons, that monk XP bonus coupled with a full set of heirlooms is crazy good. Or do I level my shammy, Vynn, who is supposed to be my main healer and Arv’s second-in-command and who has been severely neglected? 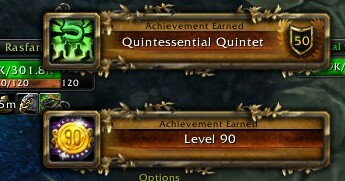 And any three of my Hordies would get me the Quintessential Quintet achievement too.What do you guys think?